What do you do when the kids are home during Michigan schools' winter break and have nowhere to be for at least a week? Or what if you're visiting the Detroit area with the kids in the winter and need to entertain them? For ideas on things to do, look no further. Check out this list of activities that will keep the kids occupied and keep you sane. When Michigan gets too cold and snows, don't stay inside — go play in the wet stuff. The park at Campus Martius in downtown Detroit is a great outdoor venue for ice skating. The metro Detroit area also boasts several downhill-skiing resorts and parks for cross-country skiing. These activities are sure to burn some of your kids' energy while also giving them time in nature. There are many winter events in the area to keep everyone excited about the season including the North American Auto Show and Winter Blast in downtown Detroit. Don't forget about holiday-specific activities like a tree-lighting and the Belle Isle New Year's Eve fun run. At any given time, Detroit hosts a variety of family-friendly shows and concerts, including Broadway musicals, plays, comedians, and other special performing arts events. The metro Detroit area has several world-renowned museums for kids (and adults) to explore. 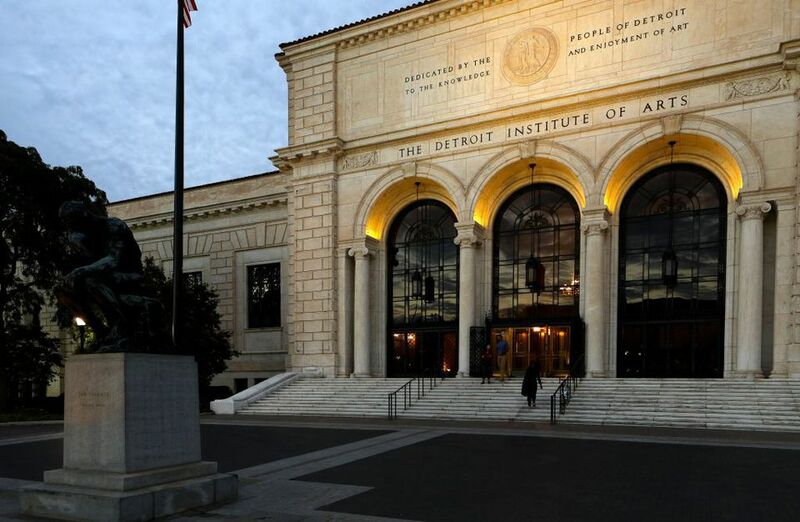 During winter break, the Detroit Institute of Arts presents a puppet performance of folktales, while the Michigan Science Center hosts an exhibit called "Spark!Lab Smithsonian" where kids can become inventors for a day. The metro Detroit area is home to several venues where your kids can play laser tag, whirlyball, and paintball. But if a good old-fashioned entertainment complex with an arcade, go-karts, or miniature golf sounds better, you and your kids are in luck. You can't beat this family-friendly thing to do with kids in Detroit. The movie theaters in the metro Detroit area come in all shapes and sizes, from single screen to megaplex. If your kids aren't into big blockbuster films, Detroit has cinemas featuring many independent and foreign films. Consider taking the movie-going experience up a notch by taking the kids to a theater with luxury seating or D-Box MFX Motion Seats. The metro Detroit area is home to several malls. Whether the kids are in the mood to shop, eat, or loiter, the mall is a great place for them to see and be seen when the weather outside is not hospitable. Don't let the family come down with a case of cabin fever during winter break. Get the kids out of the house and out of town for a short getaway. There are several amusement parks and vacation destinations within driving distance to Detroit. You've got a week to fill or kill (depending on how you look at it), so think outside of the box. Here are a few things to do with kids in Detroit that won't cost you an arm or a leg.